Who Makes Use of Billboards? There are different ways to publicize a commodity in the market. One of them is through a billboard advertisement. Different industries make use of outdoor advertising in their distinctive ways. For example, quick eats restaurants along the highway make use of highway billboards to draw the consumer to have a bite and take a pitstop at their facility. McDonald's, Wendy's, and Tim Hortons are examples of fast food chains that take advantage of billboard advertising. The automobile and tourism industries make use of billboards to advertise their products and tourism plans. These advertisements are highly successful because people on the highway are on the lookout for such information. These usually account for almost half of the revenue of outdoor advertising. Now the question arises, "how much a billboard cost to rent?". 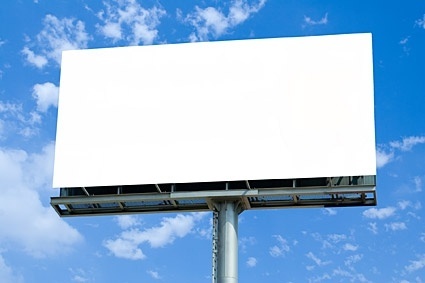 Billboard advertising space is generally booked on a 4-week basis. But rates increase the longer you reserve the area for rent. Billboard ads can cost anywhere from $150/month to $65,000/month, and more depending on select factors. The cost of billboards depends on the format, construction, and design. It generally ranges from $300 to $500 for the creation of a standard vinyl board. Hiring a design firm can cost anywhere from $150 to $1,000. We should keep in mind that the material used to construct a billboard should be weather resistant. Wood is the cheapest source to make a billboard advertisement. To build a wooden sign, you would need telephone poles and 2” x 4”s of plywood. It can cost between $2,000 and $10,000 to build, based entirely on the height and size. Vinyl is the other standard material used for the ad. Printing an advertisement on vinyl for a 14-foot by 48-foot bulletin billboard requires almost 700 square feet of material and will cost between $300 and $500. The ad space on a mobile billboard ranges from $500 to $800 per day. Pricing is based on geographic location and length of the mobile ad campaign. Production pricing ranges from $1,200 to $1,600 for two mobile billboard banners. Costs associated with designing a billboard typically range from $150 to $1,000. Billboard design differs from other advertising and graphic design, so choose a designer with extensive experience creating billboard ads. Traffic speed – People are more likely to see your ad if they’re on a congested highway than on a train route where travellers pass at 40 mph. The proximity of the billboard to the road – The distance of a sign from the road affects how visible it is to passing drivers. Traveler destination – Consider whether you’re advertising your business to locals or people who are just passing through town. Also, consider whether people are likely to visit your business on their route home. The location of the OOH and their ratings are a huge factor that influences the cost of billboard rental, as the position determines who is seeing your advertisement. For example, in San Francisco, a billboard would run you anywhere between $12,000 – $15,000 in a high traffic area, as found on Quora. Another local business owner in the Bay area states that you can run digital billboards in the San Fran area for between $3,000 and $8,000 per month (Chan 2018). Meanwhile, according to Techcrunch, companies are willing to pay over $30,000 per month to make a statement against a competitor who is driving up ad rates disproportionately to the value they provide per thousand impressions. Contrast that with a place like Las Vegas, and you’re talking $60k every four weeks. Moreover, a billboard with lighting can be expected to go for a 25% premium over an advertisement without flash because the billboard will be available to many more viewers at night. As you can see, the costs of billboards range depending on a number of factors. Whether it be size and placement, length of run time and location, or lit or unlit, billboards vary in cost but will remain an advertising technique that grabs the attention of many demographics and targets.